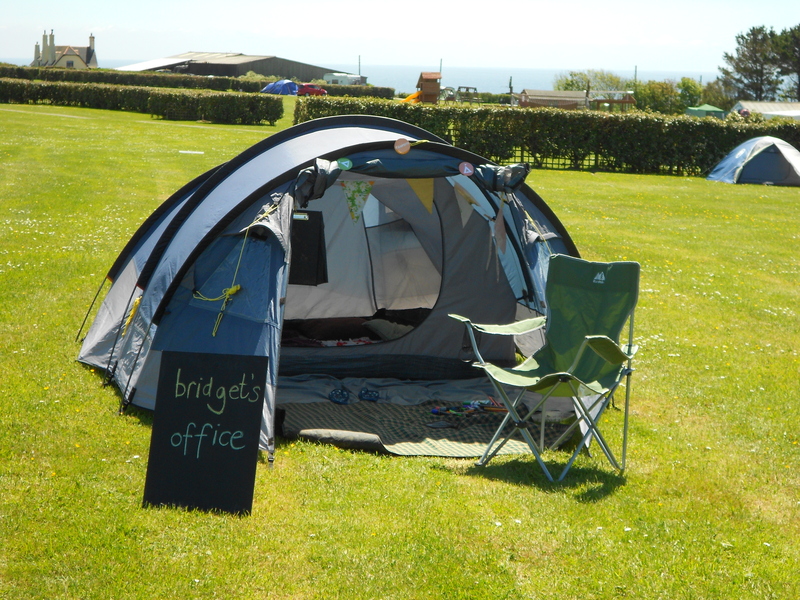 I have just spent a rather blissful week on a campsite in St Buryan Cornwall, the weather was fantastic making it even easier to be creative. The retreat was funded by the Jerwood Charitable Foundation and run by artists Tom Frankland, Laura Mugridge , Keir Cooper and producer Bridget Floyer. 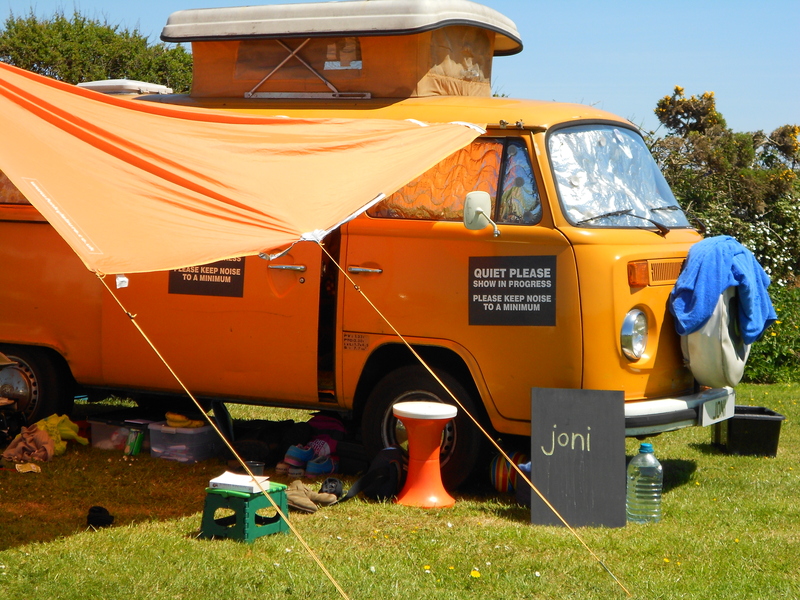 Around 20 artists of various disciplines turned up to camp in a Cornish field, on a Cornish cliff, to make work, rework old work, be inspired by their surroundings and even possibly, collaborate. Although the weather was fab the nights turned cold, but, as bodies became acclimatised to the outdoor life, the nights seemed to get less cold and we all started to sleep really deeply, waking up renewed and wanting to make work. Sometimes just relaxing helps the work to start flowing. There was a general agreement that ‘life’ is hectic and we don’t normally allow ourselves downtime and as freelancers, if we do, we feel guilty. The retreat gave us permission to unwind, to reflect or just to read, in a nutshell, to not feel guilty. For me the retreat enabled me to find the time to look at my performance score. I needed to find another ten minutes to start with, and with the time to trawl through my notebooks I found material for an extra ten minutes quite easily. Now I shall look for another ten. Would that have happened so fluidly at home, with all those other little ‘jobs’ that always need doing mysteriously cropping up when you are staring at books on your desk? I also had time to plan my thesis, to look at chapter headings and content. To look at a strategy for how many hours and words each section may take. As I would be starting this as soon as I returned this was invaluable. We created one of the tiniest festivals in the world. 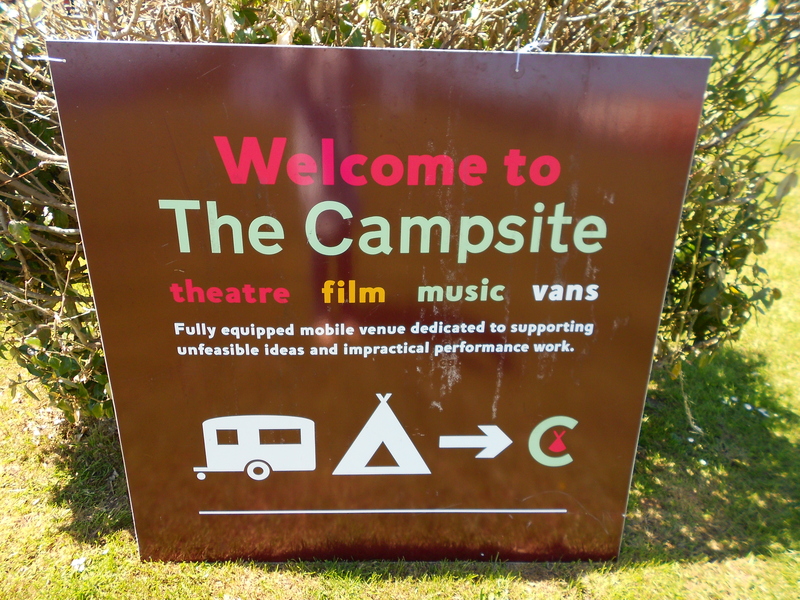 An evening of small performances (5 -10 minutes) taking place in 2 tents, a 2 berth caravan and a camper van and it was the best sharing of work I’ve experienced in some time. I met some really interesting and talented people who I probably wouldn’t have come across in my daily life, or maybe even my artistic life. The mix of people of all ages and disciplines, and the generosity of the sharing of work and information, made it one of the nicest most relaxed times I’ve had in a long while. Giving me both inspiration and confidence to continue to make theatre. Now, back at home, whilst writing this (when I should be writing my thesis) looking at the rain through the window, it all seems like it happened in a parallel universe – did it really stay dry and sunny for the duration? Did collaborations get made and beautiful music sung? Did pasties and saffron buns get wolfed down, whilst rehearsing for the tiniest festival in the world? Well you only have my word and photographs for it here, but soon I will be able to share the campsite’s own musings and then, only then I will believe it. 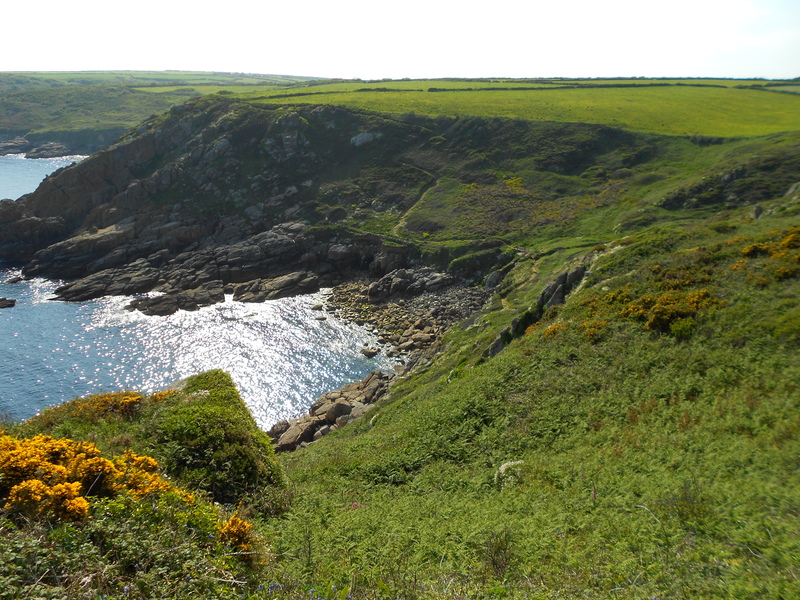 There is a post on my other blog here of a wonderful walk I took on the South West Coastal path from Lamorna to Treen. 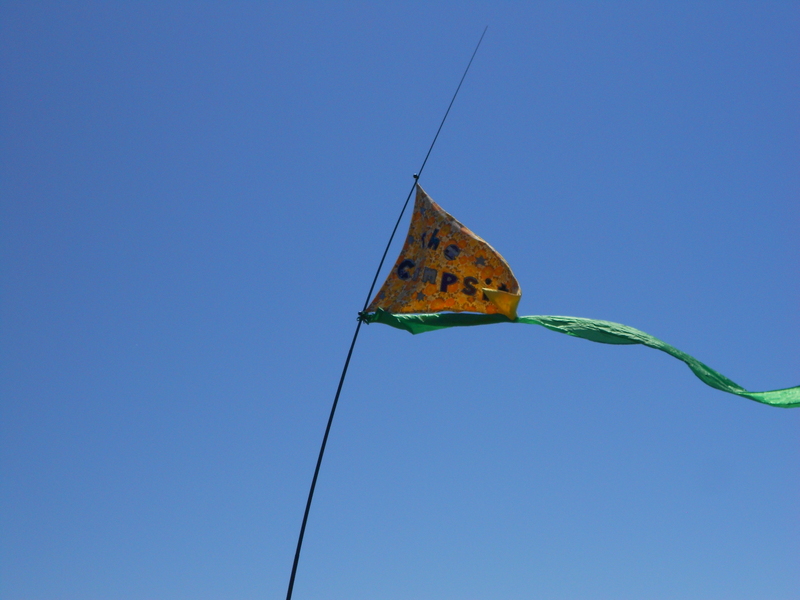 This entry was posted in Festival, Performances, Uncategorized and tagged Bridget Floyer, Jerwood Charitable Foundation, Keir Cooper, Laura Mugridge, tiniest festival in the world?, Tom Frankland on June 11, 2013 by Ruth.